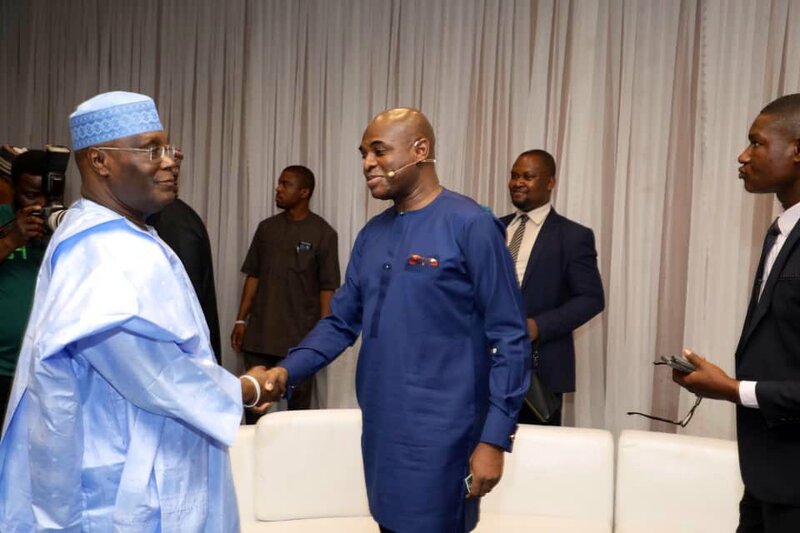 The Presidential candidate of the People’s Democratic Party (PDP), Atiku Abubakar has apologised to Nigerians over his decision to boycott the 2019 Presidential debate organised by the Nigeria Election Debate Group (NEDG) and the Broadcasting Organisations of Nigeria (BON) after arriving the venue of the debate. In a statement released by the PDP candidate and shared in a series of tweets on Saturday evening, the former vice president said he could not go on with the debate due to the absence of incumbent President, Muhammadu Buhari, stressing that it is a Presidential debate, not a candidacy debate. Atiku who also apologised to Nigerians for the absence of the APC Presidential Candidate, being a a leader and former vice president of the country, said he does not believe in attacking a man who is not present to defend himself while challenging President Buhari to choose a date and time for a debate where both of them along with the other candidates will be present.